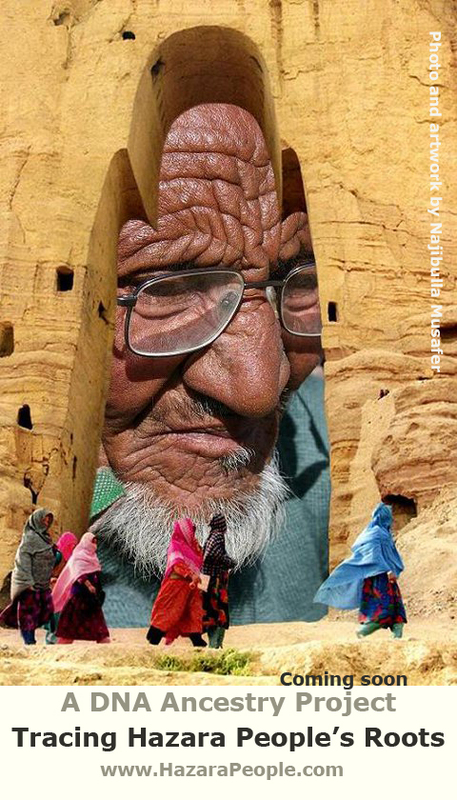 Afghanistan’s decision to reroute transmission line, effectively bypassing Bamyan province, angered ethnic minority. 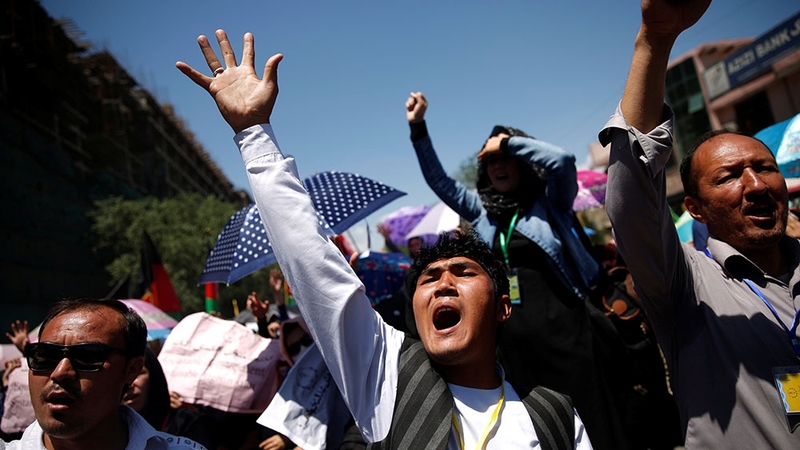 Afghanistan’s capital Kabul is in lockdown as members of an ethnic minority group stage protests over the proposed route of a power line. 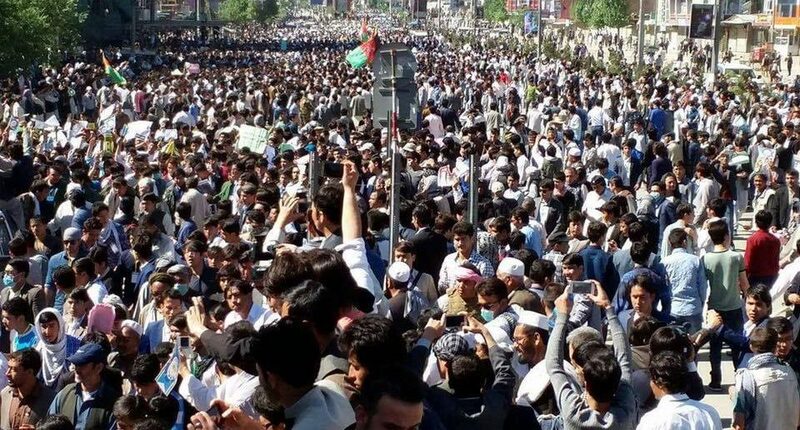 Thousands of Hazara demonstrators took to the streets of Kabul on Monday to march towards the presidential palace, demanding a 500kV transmission line to be routed through Bamyan province, which has a large Hazara population. The so-called TUTAP line was originally due to pass through Bamyan, but the government decided to reroute it through the Salang Pass north of Kabul, saying the shorter route would save money. 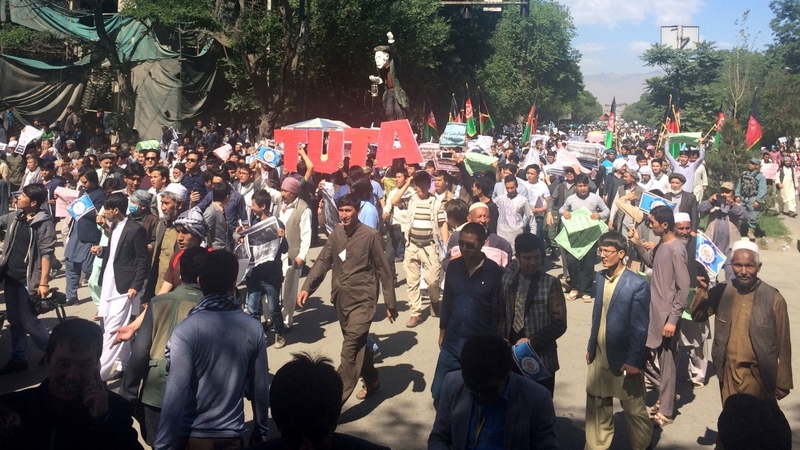 Demonstrators say the chosen route for the transmission line is a discriminatory move against Hazaras. “We are protesting against the decision of the government as our provinces have never seen development,” Ali Ameer, one of the protest organisers, told Al Jazeera. The plan was inaugurated in Tajikistan last week by leaders of Turkmenistan, Uzbekistan, Tajikistan, Afghanistan and Pakistan, the countries that will benefit from the power. “This decision was taken based on their own self-interest. This is not a one-day movement. 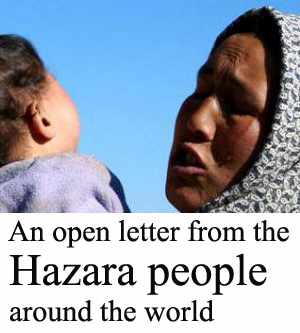 We will stand for our rights and the decisions that are biased against our [Hazara] community,” Ali Sultani, one the protesters, told Al Jazeera. The office of the president said in a statement that the supply work of the project will be suspended as per the presidential decree until the commission completes its review. President Ashraf Ghani appointed a 12-member team to investigate the viability of rerouting the line through Bamyan. According to the World Bank, almost 75 percent of the country’s power is imported and less than 40 percent of the population is connected to power lines. The protesters path to the presidential palace was blocked by shipping containers, closing off access to main roads to all vehicles. Most shops remained closed. Kabul police and security forces took positions across the city. 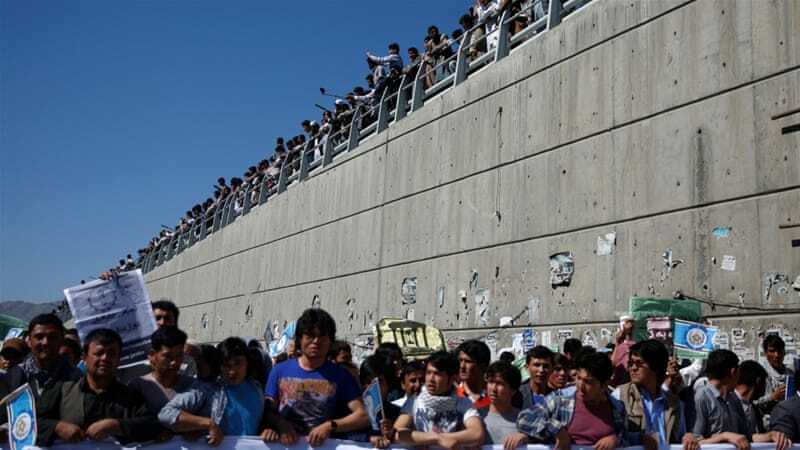 Authorities warned protesters that the path to the presidential palace would be blocked and that they would not be able to reach there. “We are making sure that the protest does not get violent. 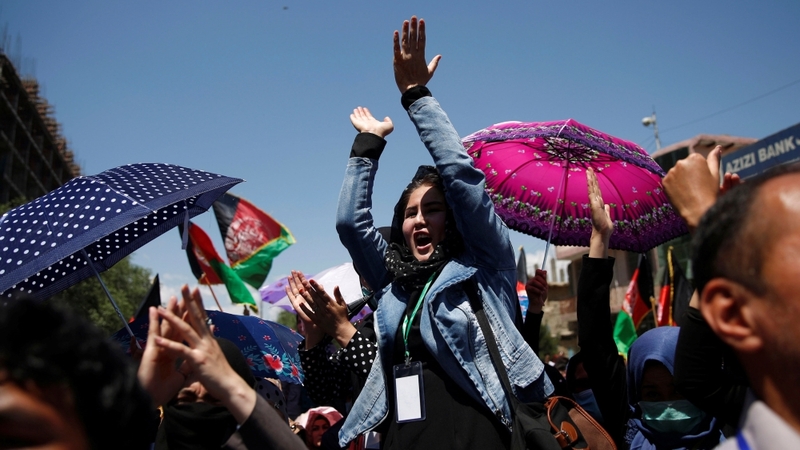 We’ve taken all security measures to make sure no one is harmed,” Kabul police spokesperson Basir Mujahid told Al Jazeera. 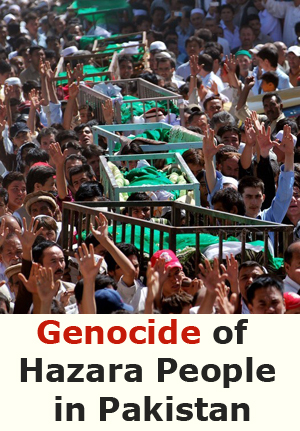 In November, thousands of demonstrators took to the streets of Kabulwith coffins carrying the bodies of seven ethnic Hazara demanding justice after their beheadings. 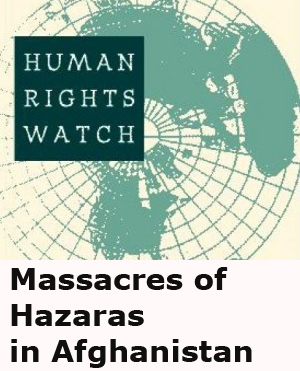 The protests included women and men from Afghanistan’s different ethnic groups – Pashtun, Tajik, Uzbek, and Hazara – as they marched on the presidential palace to urge the government to take action against rising violence against Hazaras. 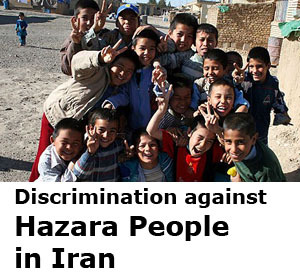 Hazaras, most of whom are Shia, account for up to Afghanistan’s 15 percent of estimated 30 million population and have long suffered oppression and persecution in Afghanistan. 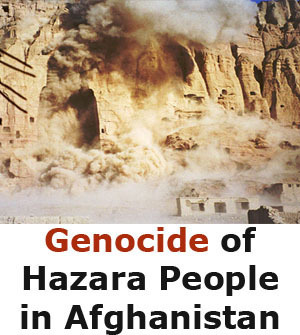 During the 1990s, thousands were killed by al-Qaeda and Taliban fighters.